We have the technical expertise now-how to accelerate each client’s success, whether it’s time to market, cost and efficiency initiatives, or implementation of specific projects. Cloud Ingenuity is helping our clients design, implement and operate scalable, agile and cost-effective IT infrastructure solutions to solve their toughest business challenges. Cloud Ingenuity offers best-of-breed products from the world’s leading technology providers, but bringing them together successfully requires the direct involvement of our professionals, who provide unmatched expertise and support for virtually any technology. Ultimately, we chase the most optimal business cases to help guide us to the right solutions and approaches for our customers. We find that our comprehension of your solution requirements always lead to the best match of your business goals. We truly listen and understand your requirements to migrates risk of a failed IT project and garner results. 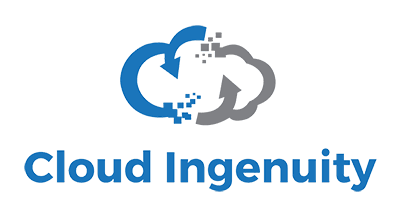 Cloud Ingenuity consulting professionals and technical specialists. No matter how carefully a project is planned, it can fail without appropriate management and coordination during all implementation milestones. Cloud Ingenuity Operational Services Solution is designed to help our clients. The Maintenance Services team will support your IT infrastructure through comprehensive IT contract management services for hardware and software.